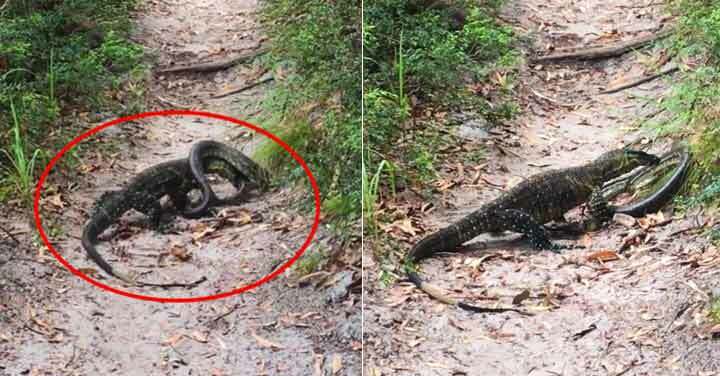 In Australia, giant lizards fight giant snakes. 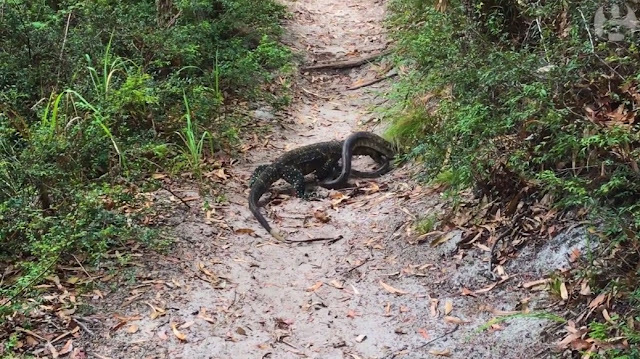 Exclusive: A group of walkers in Noosa national park on Monday were stunned to find a large goanna and snake fighting in the middle of the path. 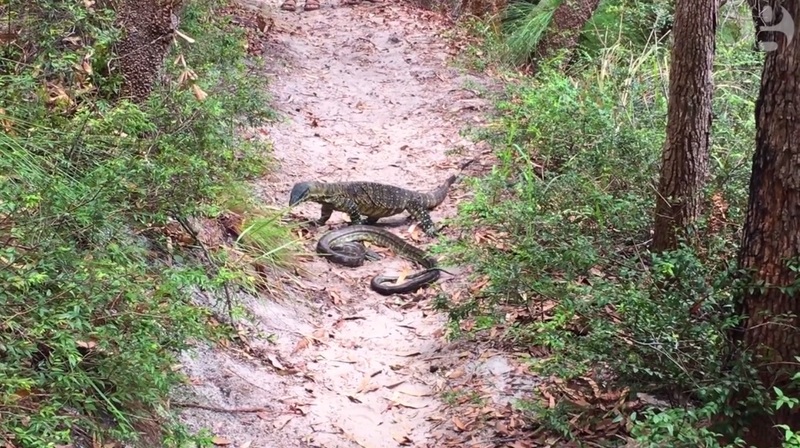 "After the goanna dragged the snake off the track we continued to hear them fighting. 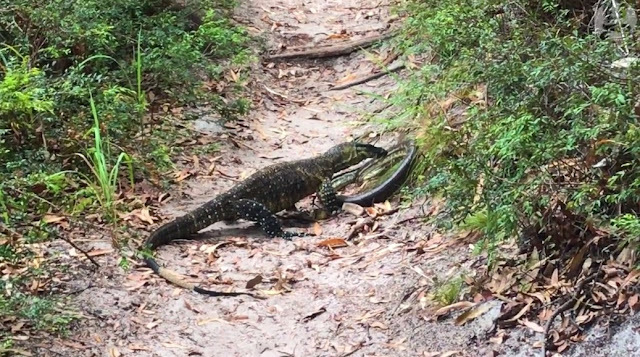 We don't know who won."